Around the Colvin Cottage: Our Family Time | Today's Woman in a Proverbs 31 Sort of Way! It is hot! Welcome to July! The heat of summer finally hit us! The theme for this week was find a way to stay cool! We spent our week eating freeze pops and playing in the sprinkler. During the hottest part of the day, we stayed inside with the air conditioner on! Here are a few pics of the kids from our week! Darling Daughter loves the little pool! 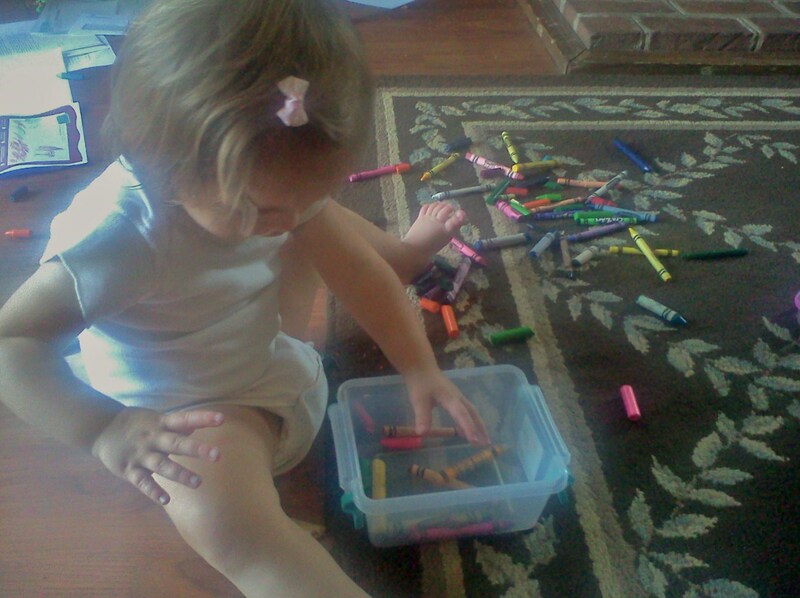 New favorite game….dump the crayons out, then pick them up. 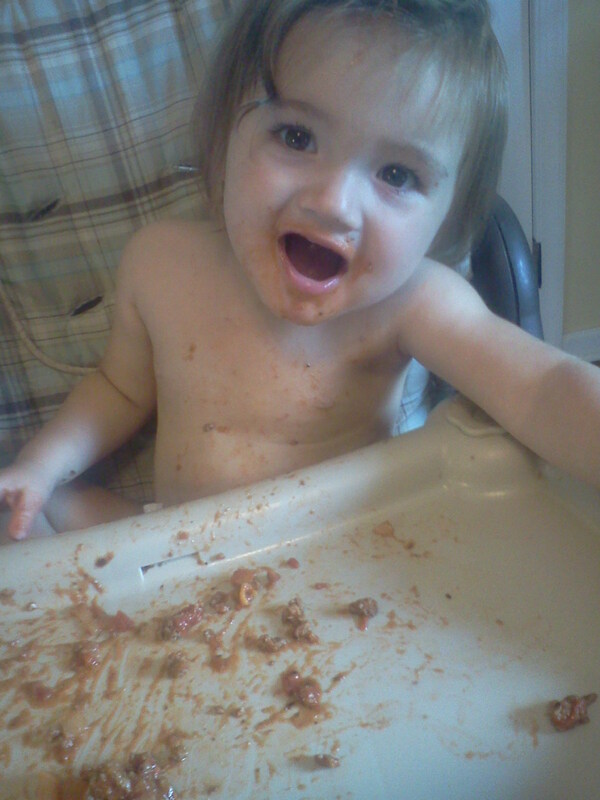 This kids loves spaghetti night. Superhero Son said he was relaxing in the sun. Last fall, our family sponsored a Compassion kid. His name is Leonardo, and he is from El Salvador. We have talked about his life a lot this week. We are very thankful for our air conditioning, comfortable home, and fresh food from gardens and farmers’ markets. As always, we hope you are taking time today to enjoy your blessings! 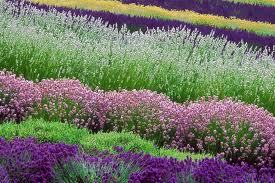 Around the Colvin Cottage: Lavender is Amazing! What a fun week! I worked Monday and Tuesday, but the rest was pure summer fun! As a teacher I love my summers, but I miss my friends. I got to see some of my favorite girls from work on Wednesday. Our conversation dwelled upon the political nature of church. We all find it sad when differing interpretations of the Bible split churches and causes some Christians to avoid church. Thursday was all about family! Big Daddy was off from work. We took the kids out for lunch and played all day. Friday, the kids and I joined a friend to explore a lavender farm. Yeah, I know. It sounds odd and bit boring. Actually, we had a great time. The kids loved the farm animals, except the very ugly turkeys. It smelled amazing from all of the blooms. I bought some great products. We even cut our own bouquets to bring home to dry. My house looks like a wreck right now, but it smells great! The farm is called White Oak Lavender. 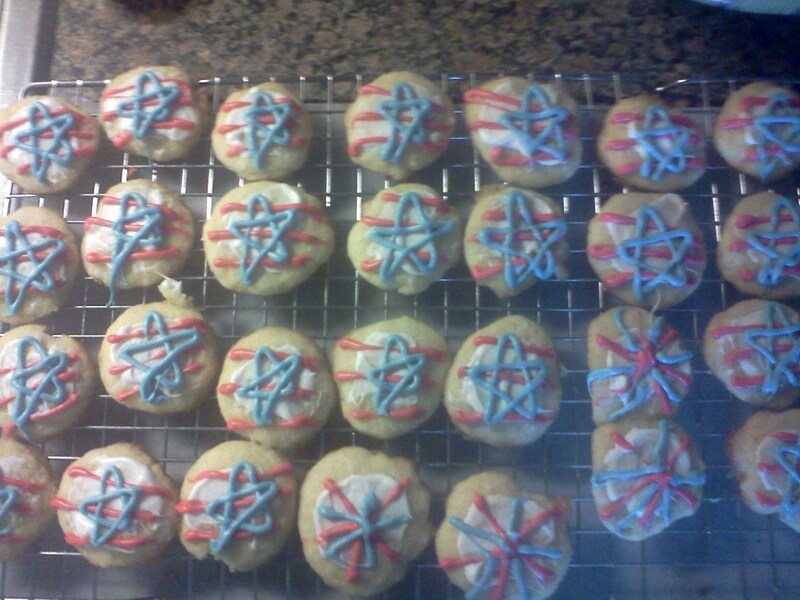 When we got home, we started baking. I signed up to bring cookies to a fundraising event for our church. We had to bake 72 cookies, plus a few for us to eat at home. Of course, Super Hero Son helped with the icing. Then he fell asleep on the couch, full of cookies and enjoying the aromatherapy of lavender. Fast asleep! 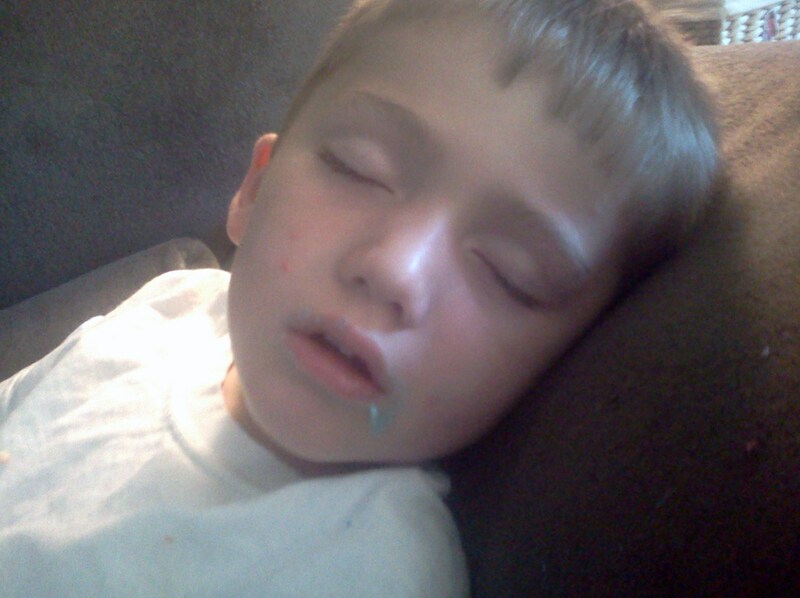 Yep, that is icing on his face. I hope your week was as much fun as ours! 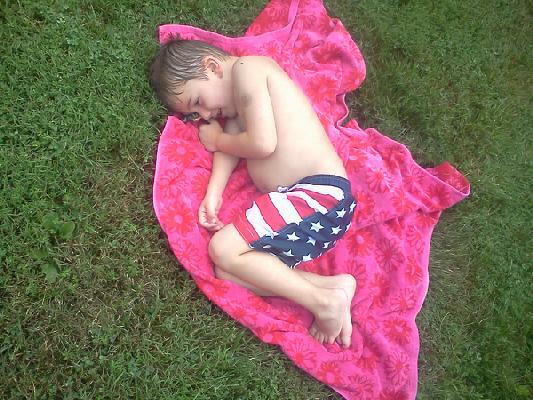 Around the Colvin Cottage: Two Weeks of Family Time! The past two weeks have FLOWN by! I suppose the entire summer will follow just as quickly. We began our summer break with the mad rush to finish the book. IT IS FINISHED! The book shipped to the publisher a little more than a week ago. With Unveiled Face will be released this fall, probably around October. 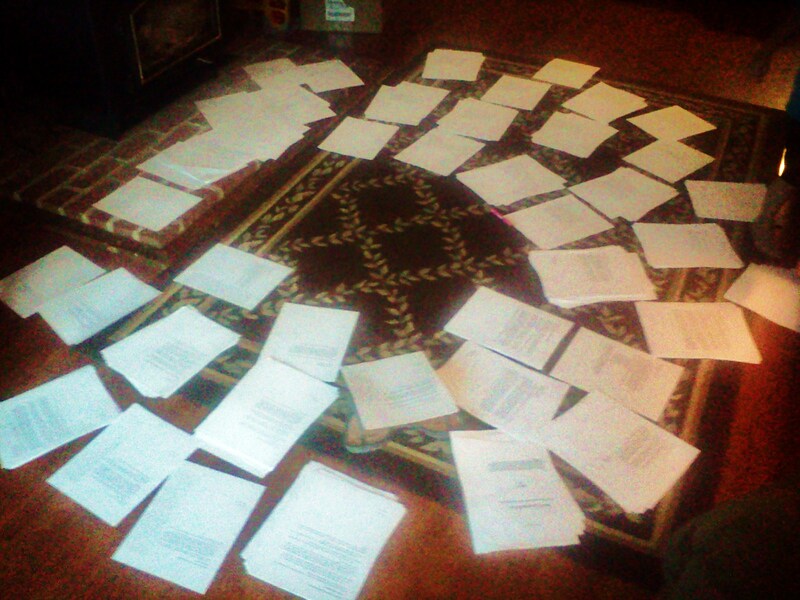 Trying to compile the pages manually before I arranged them on the computer. To celebrate the book, the end of school, and my husbands hard work recently, we headed to the lake for a long weekend! 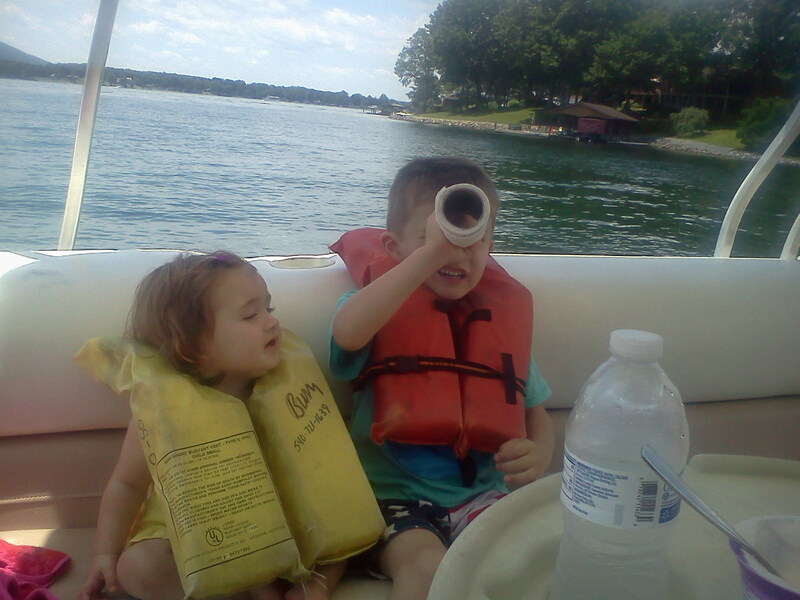 Our kids love water, pools, boats, and all things related to vacation! 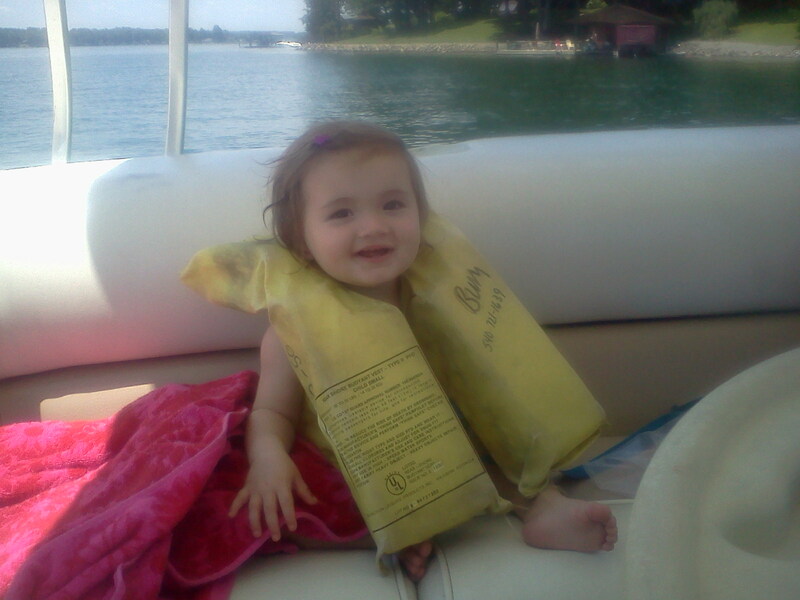 Darling Daughter’s first boat ride. Yes, her vest is inside out! Superhero Son is quite the pirate. His paper towel roll was a perfect accessory. 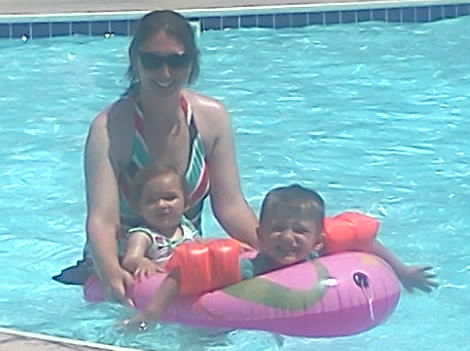 Having fun in the pool with the kids. On our way back home, we stopped at the Safari Park at Natural Bridge. 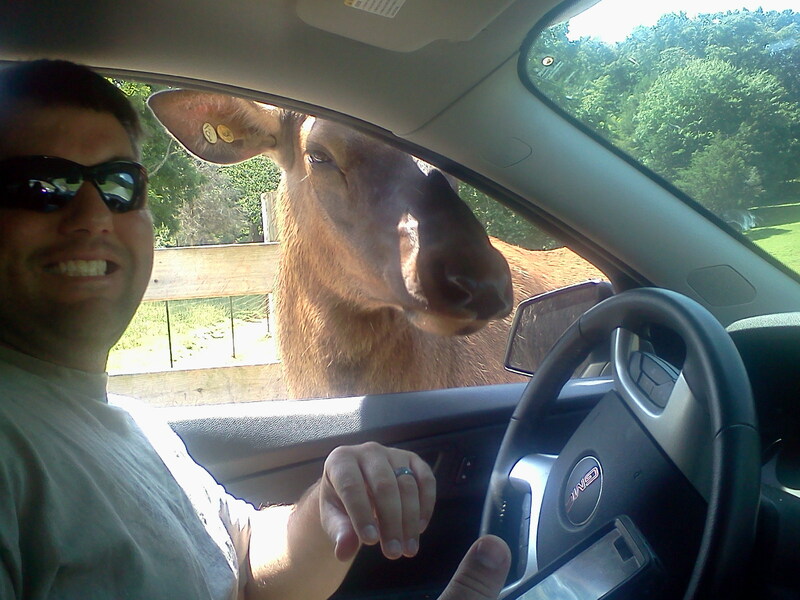 This drive thru zoo allowed us to feed the animals as they approached the car. Some were friendlier than others. Big Daddy poses with an elk cow. After our day with tigers, cheetahs, kangaroos, and giraffes, we headed back to our home, sweet home. Each day, Superhero Son does his “work.” Basically, this is preschool activities to prepare him for kindergarten. 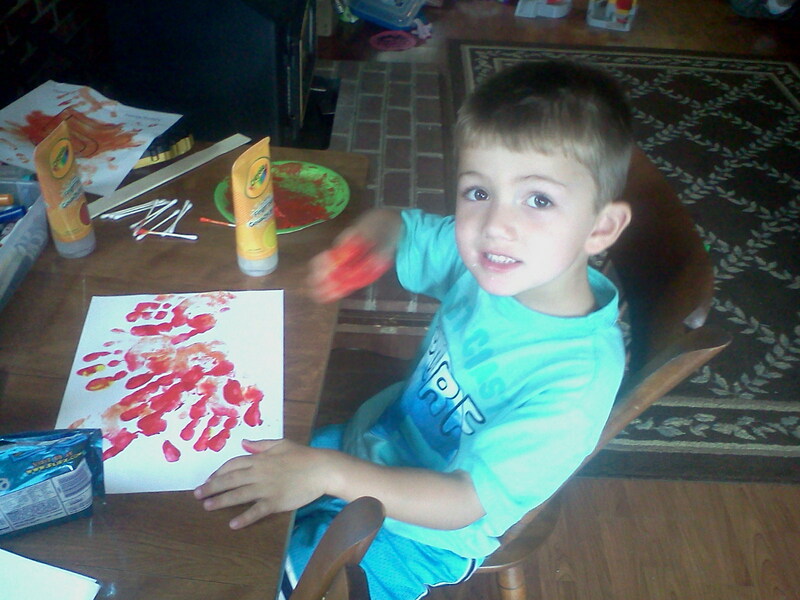 Superhero Son loves his fingerpaints. We also spent a couple days visiting family. One of my uncles has been ill with a series of strokes. Thankfully, he is now home and resting. The remainder of our summer has promise of more fun for our family. What has your family been up to this week? Around the Colvin Cottage: The Mile-Long Week! I could probably break this week into five different posts! We crammed so much into one week! Our house officially went on the market. The realtor photographed it and listed it. I was very proud of how clean my house appeared for the pictures Tuesday. Then life happened! It is NOT clean at the moment! School was a mixed bag of emotions. Monday was the big behavior reward for the kids. We finished the book Wonder. (Read my review here!). The kids loved the book! We ended the week with fifth grade graduation on Friday, the last day of school for students. It is always bittersweet for me to say goodbye to a group of kids. I always tear up when I hug a few of them for the last time. My least favorite thing about teaching fifth grade is that I won’t see most of them again. They leave and go to new school next year. This year, the goodbyes were worse than most years. This time I had to say goodbye to several teachers that have held important roles in my life over the past few years. I don’t necessarily need to say goodbye to them because I am sure I will see them again! It just makes me sad that I won’t see them daily anymore! I also know I am in for big changes. One of those leaving is our principal; another one leaving is a teammate. As for the book, it is so, so, so close to being finished!!! 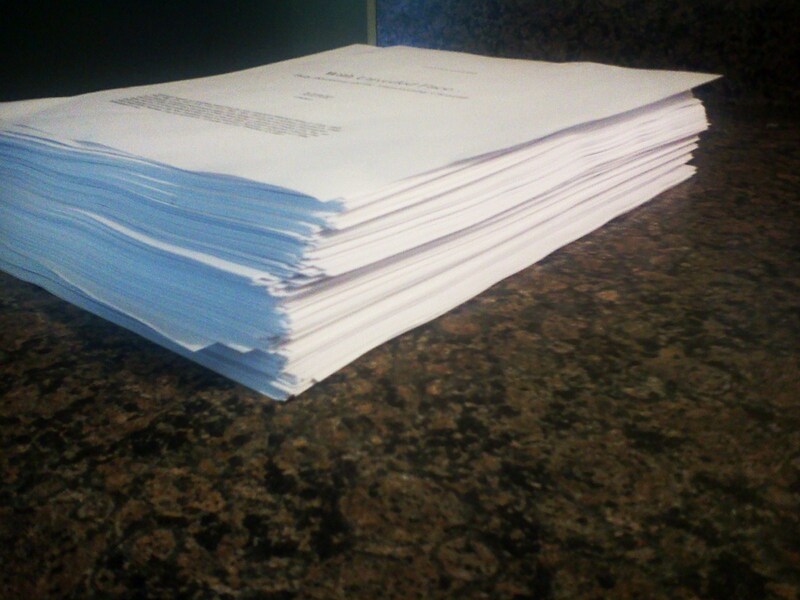 Look at how thick the manuscript is!!!! After seeing the size, I think my husband finally understood why I spent so much time working on it. Hopefully, it will make its way to the publisher this week! With a week this crazy, something bad is bound to happen, right? Thursday morning I woke up not feeling well. I felt worse and worse as the day went on. By the end of the work day, my fever was through the roof, and I was calling my husband to beg him to come home from work early and help me with the kids. The next morning, Superhero Son had the same symptoms. We have now both tested positive for Strep Throat. Let me tell you there are some cranky people living in this house right now! Regardless, I managed to make it through the work week! 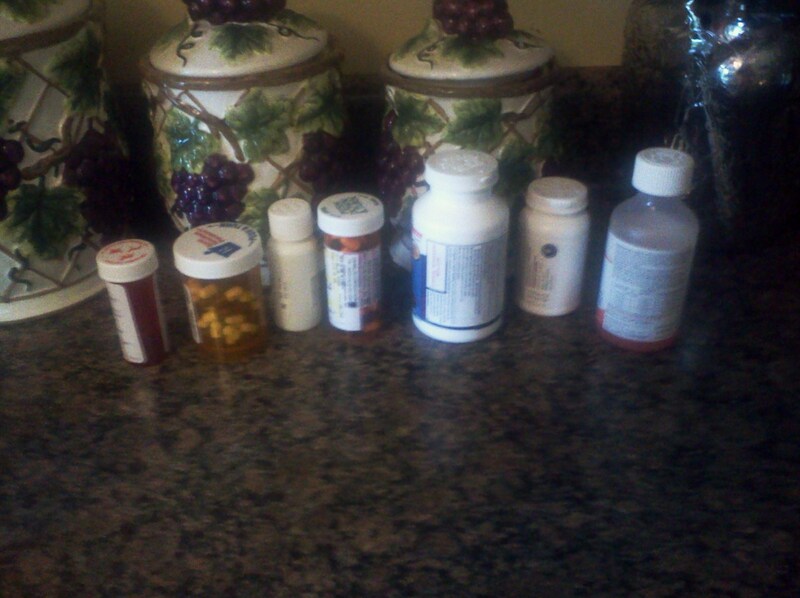 This is our countertop right now with medicine for two people with strep and a dog with Lyme Disease. The dog is another post entirely! The pharmacy that is my kitchen! Despite the round of illness, our week was not a wash. We even had enough medicine in us to manage some fun on Saturday when the sun peeked out. 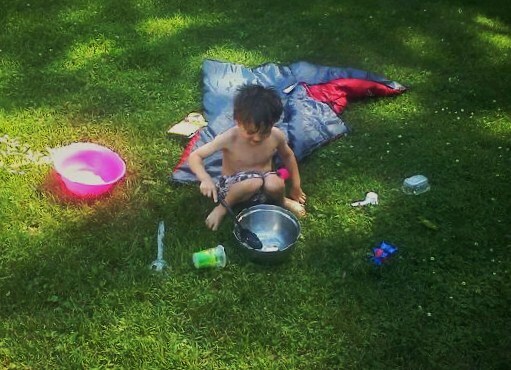 Superhero Son playing in the yard with bowls of water. He said he was making a cake! I hope your week was full of happiness! 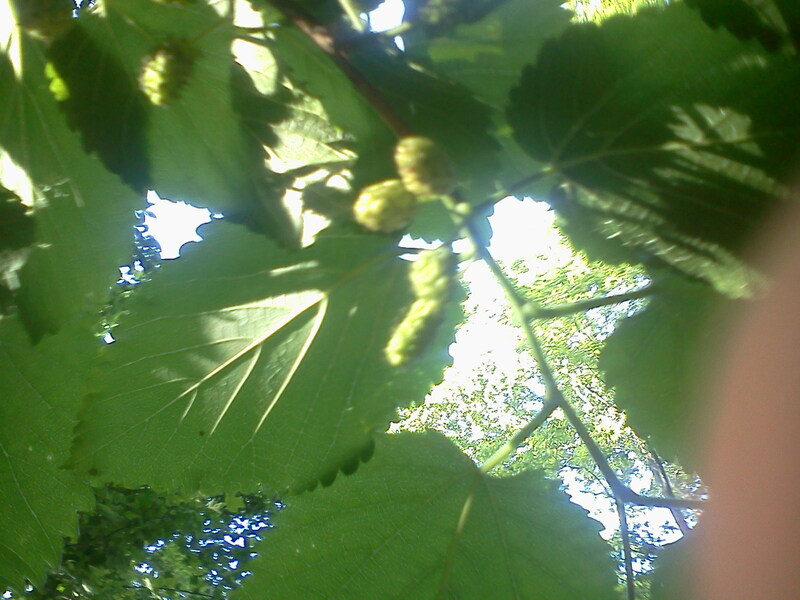 Around the Colvin Cottage: Are the Berries Ripe Yet? 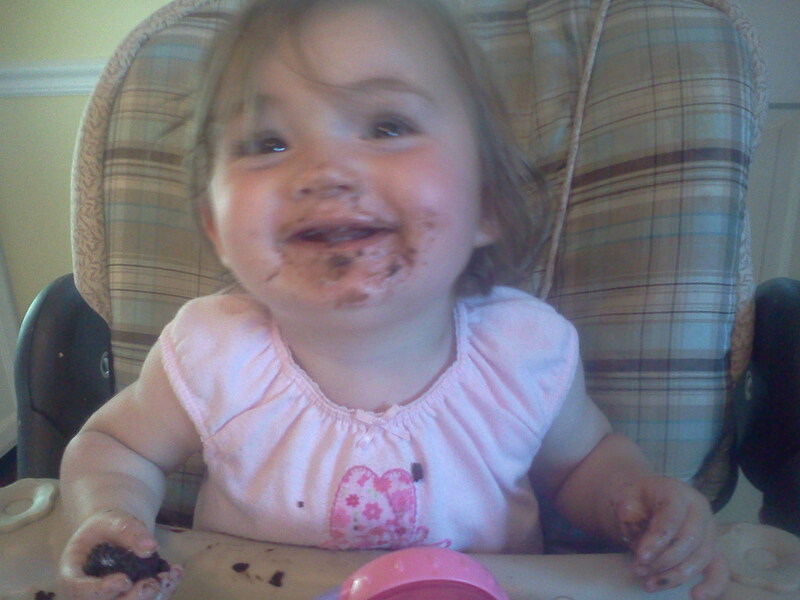 It is no secret that our family likes to eat! My husband and I first bonded over all-you-can-eat spaghetti, our favorite family gatherings involve meals, I love to cook, and we are teaching our children the same. One of Superhero’s favorite things to do in the summer is pick ripe berries. I usually make something out of them: pancakes, cobblers, or just put them in smoothies. This week has been especially warm, and Superhero Son desperately wants the berries to be ripe. We took several walks this week and found blooms on the raspberries and blackberries. He got all excited! Then! Yes, then! We stumbled upon the mulberry tree. It is loaded! Superhero Son is now anxiously awaiting the time when we walk to the tree and find ripe berries instead of green. 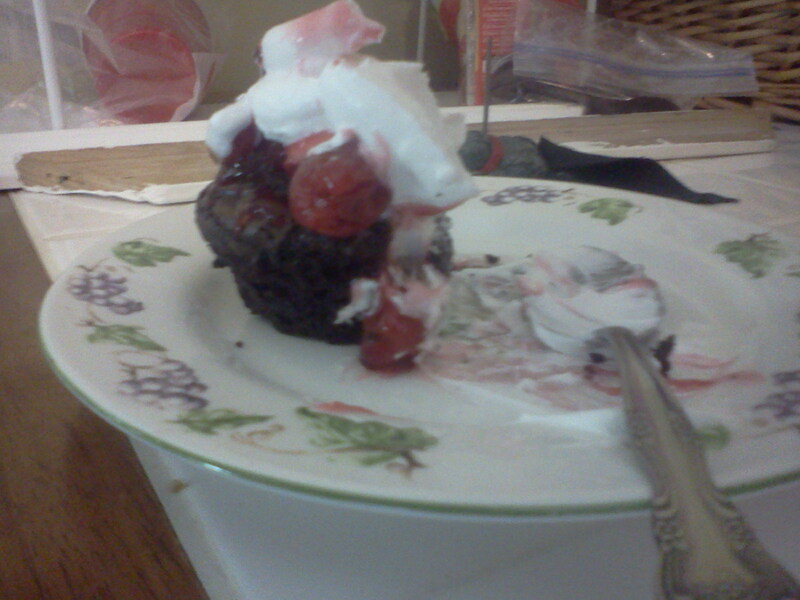 Since he was so bummed, we made black forest brownies. They were yummy! Darling Daughter especially loved them. 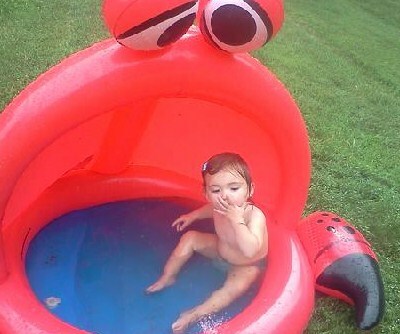 We also had to relieve the heat somehow, so we pulled the crab pool and sprinkler out when my in-laws came over. Now that June is here, school is almost out, and the temps are rising, BRING ON SUMMER! I caught the kids off-guard with the photo. 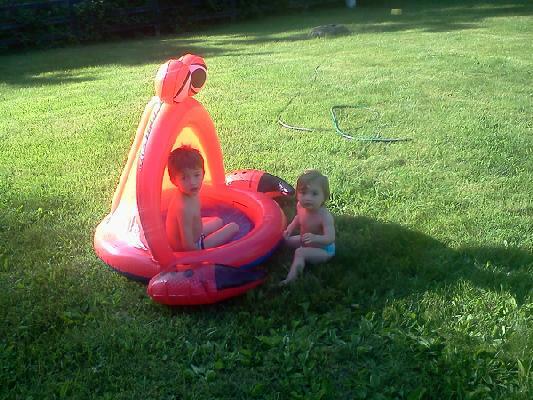 They love their pool and sprinkler and didn’t want to be disturbed. What is your family up to this week? The finish line is in sight! I have two weeks left of school, the house goes on the market this week, the book is ALMOST finished! I am scurrying around like crazy trying to finish everything. Whenever I run out of energy, my go-to song has been Mercy Me’s Move. Here is a video with the lyrics. It is kind of like a cup of coffee for my motivation! And now, just for fun, we have pictures of the past couple of weeks! 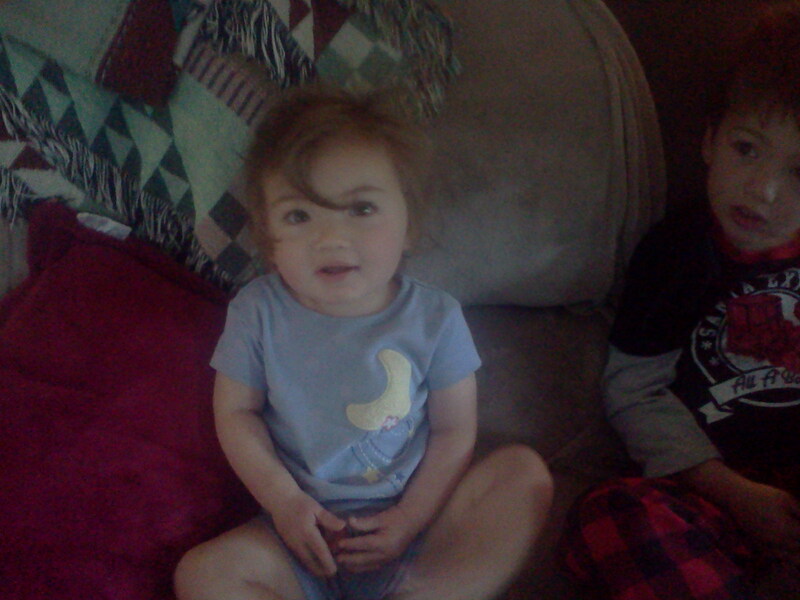 Darling Daughter’s hair is always a mess! It matches her personality! This is where the kids played, ate snacks, and read their book this weekend! 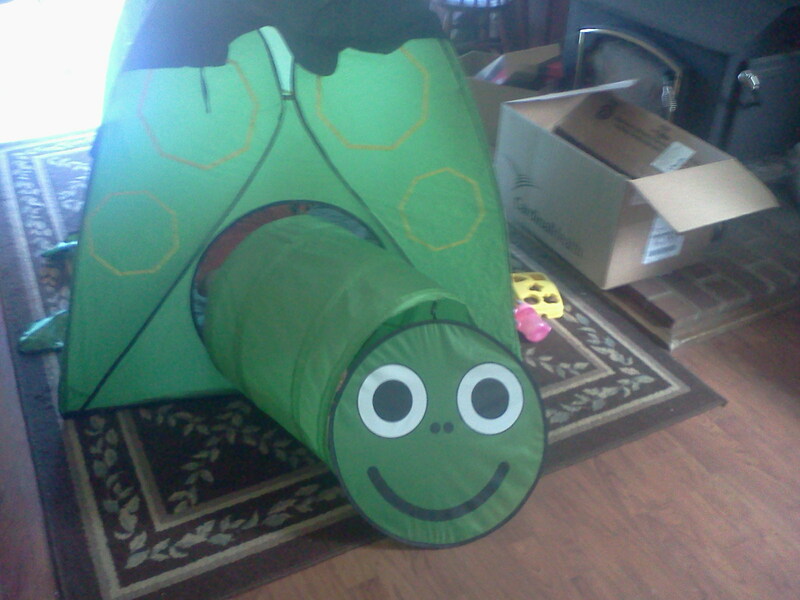 They love the turtle tent!